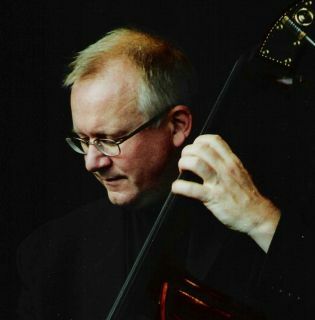 Company owner Jesper Lundgaard spent 35 years in professional jazz as a double bass player. He appears on more than 500 albums, toured many parts of the world with american and european jazz legends and for 20 years he had his own recording studio producing jazz albums. From the teen years, Lundgaard grew an interest in electronics. He built several amplifiers for guitar, and later he created amplifiers for the double bass. Being a bass player from the age 16, he has owned a large number of bass amplifiers made by famous brands, but no matter how good these were he always felt that improvements could be made. The invention of neodymium speakers, switchmode power and class D amplifiers, made it possible to create very small and powerful amplifiers. Lundgaard decided to combine these elements into the combo amplifier of his dreams. In 2004 he presented the first prototypes. Thousands of concerts and long hours in the recording studios gave useful knowledge regarding amplification problems and of course this became a useful tool in the design process. Tests on the road, tests in the studio and feedback from pro musicians ensured that the amplifiers lived up to real life challenges. In 2008, Lundgaard established ARCO-amplification. A series of bass and guitar amplifiers was introduced. The concept was a succes. In 2010 the name changed to lundgaard.amps. The design was improved based on feedback from customers. Lundgaard amplifiers provide: Clean dynamic sound, light weight, small size, intuitive controls, dependable long lasting quality.